We were extremely fortunate to be one of the recipients and in November we went to the Co-op service station on Marple Rd, in Marple, to receive our cheque and where we played a collection of Christmas carols and seasonal music. One customer (from Southern England) commented that, ‘you would only ever see something like this in the North‘ – i.e. a band playing at a petrol station!! 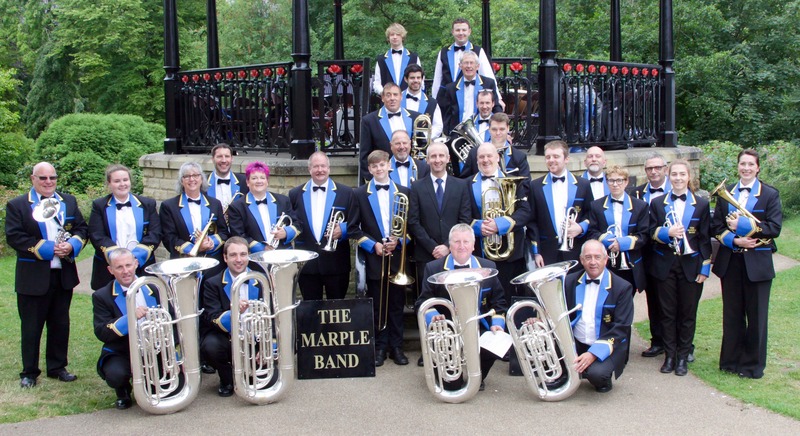 The Marple Band is hugely grateful to ALL who helped and contributed toward the task of fundraising. We would like to thank the Co-op, individual jacket sponsors, supporters at concerts and everyone who has help us to achieve this goal. Having raised the full amount, we were then able to order the jackets, which were all specifically tailored & ‘made to measure’. Centre Stage Uniforms were the uniform suppliers who did this for us. 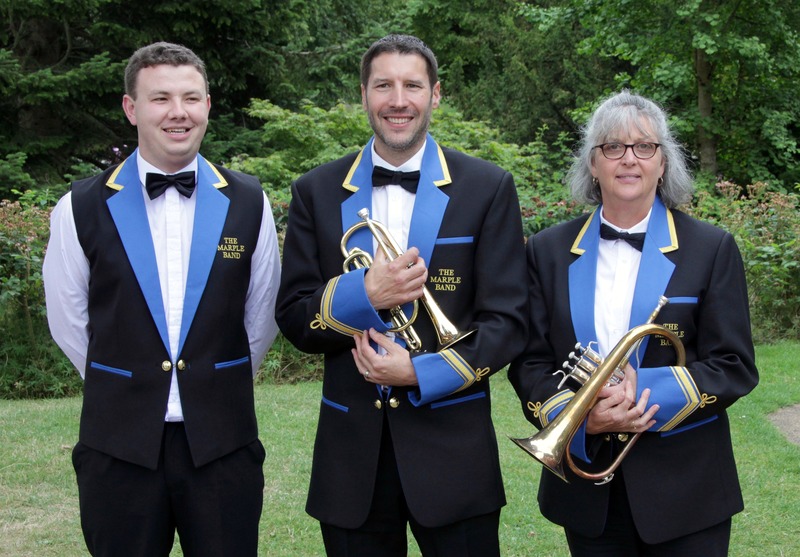 The uniforms arrived in April 2018 and the first opportunity the band had to showcase them was at the Night at the Musicals, Stockport Grammar School on June 23rd, where the Mayor and Mayoress of Stockport were in attendance. The concert programme also listed all uniform sponsors who kindly contributed to the uniform fund. The uniforms then had a second outing in the sunshine on Buxton Bandstand on July 21st. The band members are very proud to be now wearing the new uniforms, which are still quite traditional in appearance, but subtly modernised. A huge thank you to all who helped… …THANK YOU!